Collection of famous Pakistani proverbs, true sayings and wise words. Use words and image sayings to keep you moving forward! 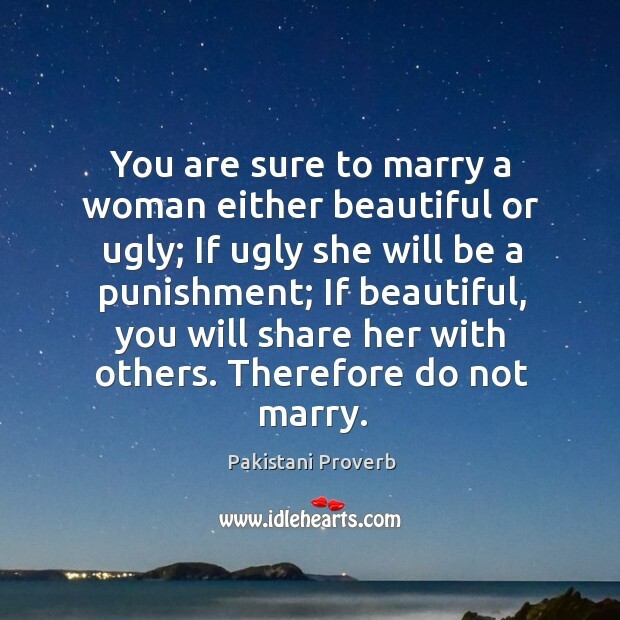 You are sure to marry a woman either beautiful or ugly; If ugly she will be a punishment; If beautiful, you will share her with others. Therefore do not marry. 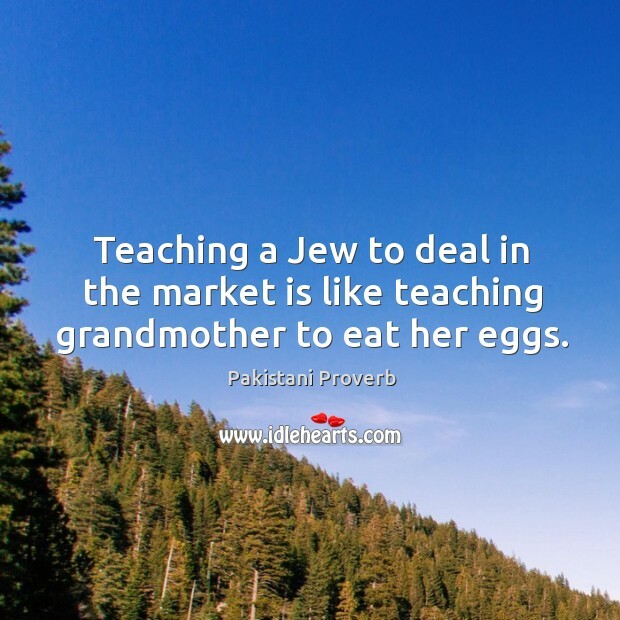 Teaching a Jew to deal in the market is like teaching grandmother to eat her eggs. One who is free to sin, sins less; the very power weakens the seeds of sin.